Top GATO Scissors Shirt NEW! Pants Taxi Taxi BED PANTS [BLUEBERRY] NEW! Hair MINA Hair - Silvia Numberology NEW! Nail [Bamb oo] Subtle Gradient NEW! Necklace - Summer LadyBird The Arcade NEW! Pose PURPLE POSES MICHELLE The SL Fashion Week NEW! The 2R1 shoes. 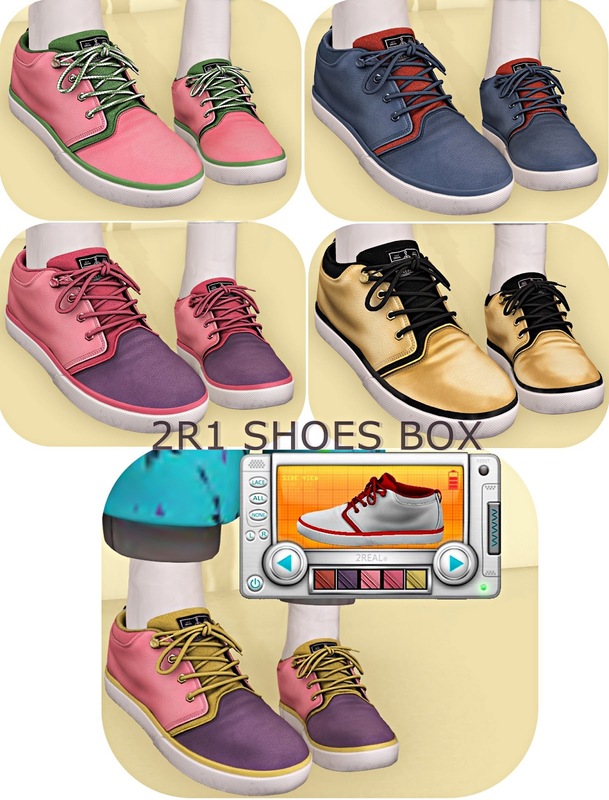 Unisex, Higly detailed mesh model, includes HUD (costumize shoe parts with 17 different colors and 11 unique designs. Include 2 laces styles, tuck & tied). Resizeable (All scripts can be removed).